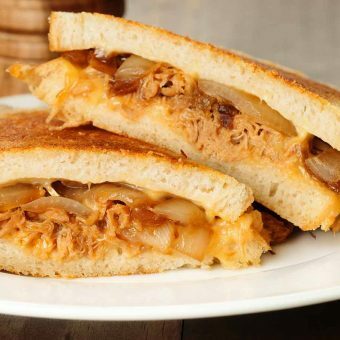 There's nothing like a grilled cheese sandwich to satisfy a comfort food craving. Browse our grilled cheese recipes to find some new ideas for this classic favorite. 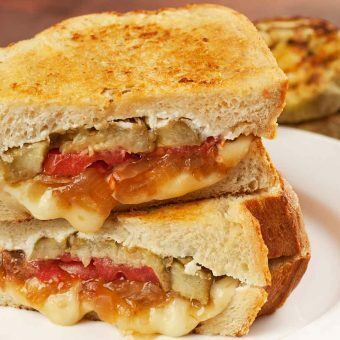 A scrumptious grilled cheese sandwich made with garlic-mayo-coated sourdough bread, roasted eggplant, tomato, caramelized onion, goat cheese and mozzarella. 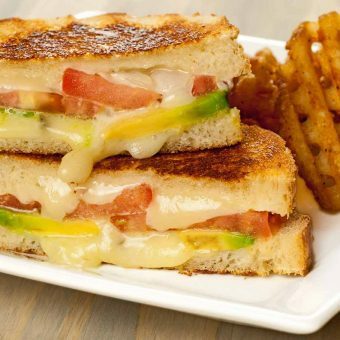 A twist on a classic grilled cheese sandwich made with pepper jack cheese, sliced avocado, sweet onion and tomato. 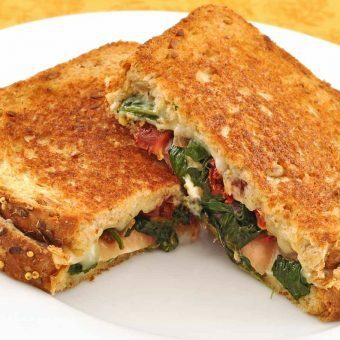 Grilled cheese elevated: three cheeses (fontina, muenster and goat cheese), prosciutto, sautéed spinach and onion on whole grain bread.